recent study published by JMIR Mental Health showed only about 10 percent of mental health patients surveyed used apps. A recent study published in JMIR Mental Health found that despite the growth of smartphone ownership in recent years, the use of mental health apps among patients remains low. In fact, in the study’s survey, which was given to 186 patients being treated for mental health conditions, only about 10 percent reported actively using a mental health app. Researchers compared survey results between patients at a private insurance clinic with patients accessing care through the state Department of Mental Health (DMH). Patients at the private clinic were more likely to download the mental health app than their counterparts at the DMH. However, the use rate was comparable between patients at the two facilities. 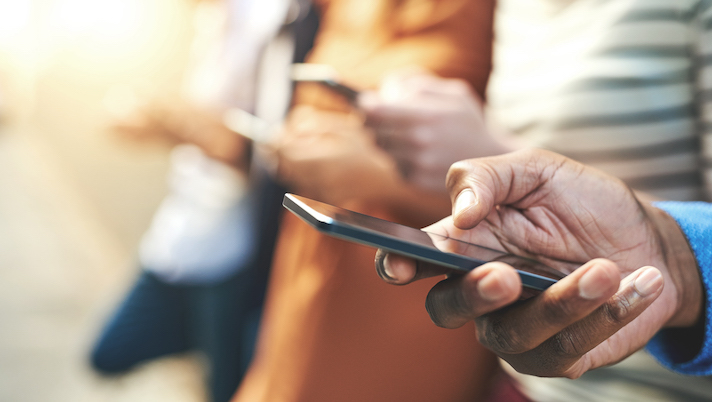 The study team found that in both the DMH and the private clinic smartphone ownership was highest in younger demographics. But ownership didn’t guarantee mental health app use. Researchers found that in the DMH group the overall “prevalence of downloading a mental health app was 2.66 times lower compared to mobile phone ownership”; meanwhile in private clinics downloads were 1.85 times lower than mobile phone ownership. Globally the mental health sector is facing a shortage of both trained professionals and financing, with the World Health Organization reporting that on average only 1 to 6 percent of health budgets are spent on mental health. According to former UK health minister Lord Darzi, in some health systems less than 5 percent of mental health needs are met and in advanced countries only 20 percent of patients get the mental health treatment they need. That is why many in the industry have turned to digital tools to provide more patients access. However, this study zeros in on the technology in practice. “Results from our study also highlight the importance of understanding how actual patients are using apps instead of relying on internet-based samples, which often yield higher results due to their likelihood of being selected,” authors of the study wrote. The marketplace is seeing scores of mental health apps. Studies have shown patient interest in the technology. In a small study published by JMIR Mental Health, researchers from Canadian academic institutions found that 84 percent of participants living with a mental illness said they were completely willing or potentially willing to install apps that track patient’s phone habits and behaviors. The possibilities of the tools and patient response has caused the industry to take note. In June, Mindstrong, a company that uses phone activity to measure mental health and behavior closed a $15 million Series B funding round brining the company’s total financing to $29 million. Providers have also begun to use the technologies in their practice. The digital psychiatry program at Beth Israel Deaconess Medical Center, which is led by first author of the most recent JMIR Mental Health study Dr. John Torous, has been working with two apps to help people monitor their mental health. “To ensure these new digital tools remain useful to all patients and that the digital divide does not widen, we suggest continued efforts to look beyond internet-based samples of mental health app users and ensure that the perspectives of actual patients in care today are heard and acted upon,” authors of the study wrote.